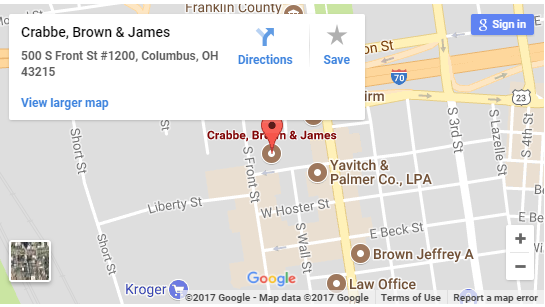 Crabbe, Brown & James LLP maintains an active and robust appellate litigation practice. Our team regularly litigates in many appellate jurisdictions serving clients in the Supreme Court of the United States, federal courts of appeal (particularly in the Sixth Circuit), Supreme Court of Ohio, appellate courts in Ohio, and serves many institutional clients in various State Supreme Courts throughout the country. Our appellate litigation team brings to bear vast experience and vigorous advocacy to achieve clients’ goals in appellate settings. Our team has conducted trials, engaged in motion practice, and filed amicus briefs in a variety of appellate jurisdictions. Previous matters litigated by our firm include: Representation of the Governor of Ohio and national guardsmen following the Kent State campus shootings, which went to the Supreme Court twice; the Jeep CJ-5 and CJ-7 rollover litigation cases, which were filed in various state and federal jurisdictions throughout the country; the Supreme Court of Ohio litigation over Issue 3 and the misleading ballot language offered by the Secretary of State regarding the 2015 ballot initiative to legalize marijuana in Ohio; and regular amicus brief filings in the Supreme Court of the United States, federal courts of appeal, and State Supreme Courts on behalf of institutional clients such as the National Fraternal Order of Police. No matter your appellate needs, our team has the experience and ability to deliver results.